SAVE $63.99 on your order today! The HP Pavilion 24 All in One with Intel Premium Processor is the perfect computer for a tight space offering great home productivity tasks such as email, web surfing and word processing. This HP Pavilion is an Intel Premium 3.1 Processor, 8 GB Memory, and 1 TB Hard Drive. 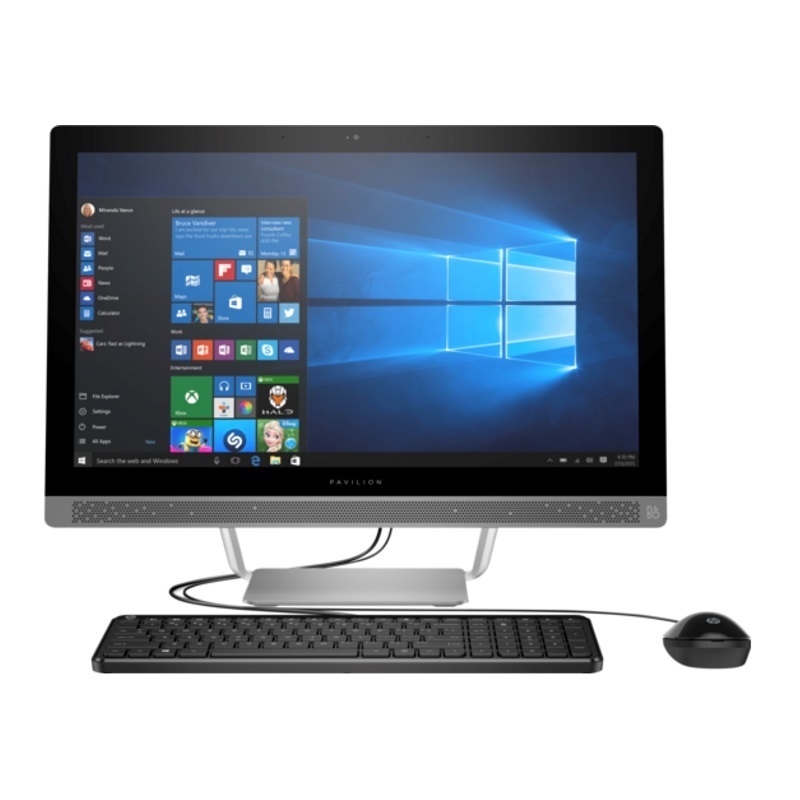 The HP Desktop computer provides a touch screen with a wireless keyboard and mouse, wireless internet connectivity. Available in purple. white and black.